I’m finally back with a new post for my conversions for the manga/anime Ghost in the Shell’s Section 9 to use them in my Aleph army for Infinity, the wargame from Corvus Belli! The most read saga from last year was this one, you are all eager to see me finish this Section 9, and today I’ll show you its next member: Saito! For those of you who don’t know this manga/anime, Saito is the squad’s sniper. A man of few words who keeps his cool on every combat scenario. Saito is an elite sharp shooter, only beeing rivaled by Major Motoko Kusanagi herself, who managed to defeat him in a shootout, and Saito paid the price of his left eye. However, seeing his potential, Major Kusanagi decided that Saito would be a valuable asset for the Section 9, so he joined her squad. Back at the HQ, they replaced his damaged eye with the Hawkeye, an advanced sattelite aided targetting system which upgraded his already deadly aim. 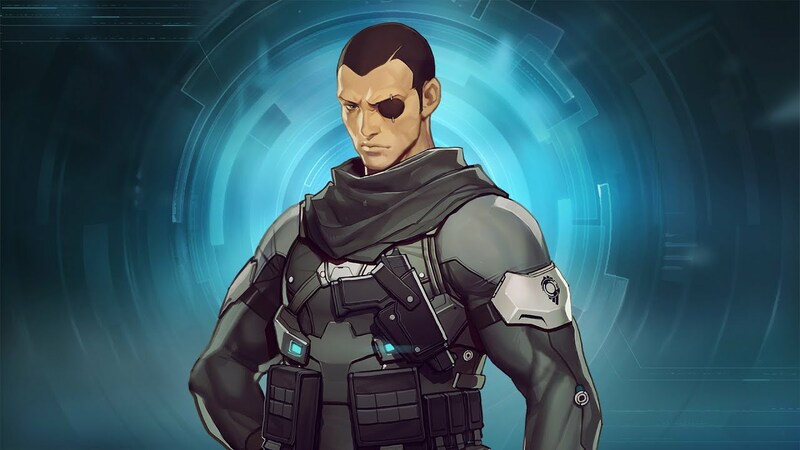 Saito in Ghost in the Shell: First Assault. Image found through the Internet. It’s hard to see on this pictures, but the Hawkeye’s clasps have been modelled as well. Only Ishikawa and Daisuke Aramaki remains, Tachikoma tanks aside, to have the full squad ready. By the way, if someone knows by chance where can I get Tachikoma tanks at the right scale for this game (and afordable as wel) I’m all ears.